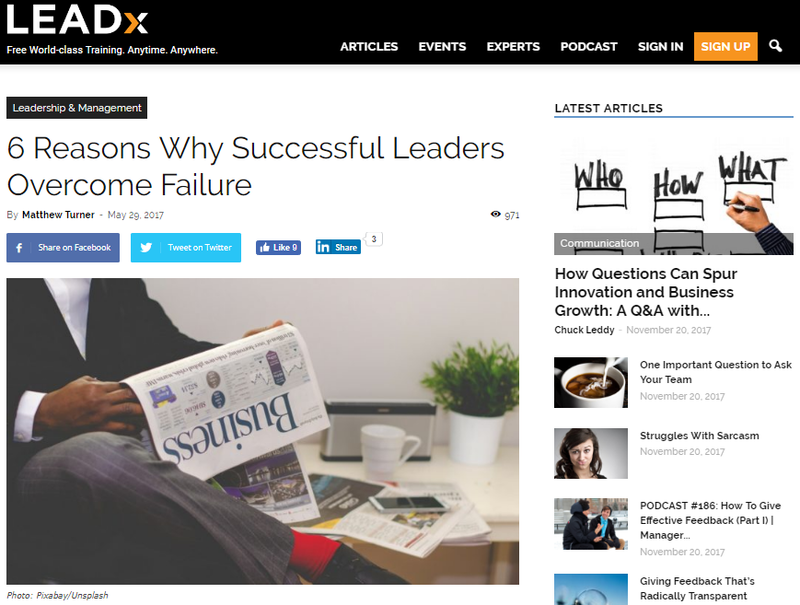 I recently published an article on LeadX.org where I focus on six reasons why successful leaders overcome failure. I wanted to tell you about this post here, and if you like what you see, you may like to read the rest. I’d like you to close your eyes for a second and picture the most inspirational leader you can think of? Whether they are a renowned business owner, executive, politician, or someone who has personally mentored you, I assure you they have made plenty of mistakes; and they have failed countless times before. Like you, they are human. Failure is part of the journey you’re on, and no matter how much you would like to avoid it, you cannot. Instead, you must learn how to better handle it and overcome it. This is what I’ve learned from interviewing 200+ entrepreneurs, authors, and thought leaders over the last five years.